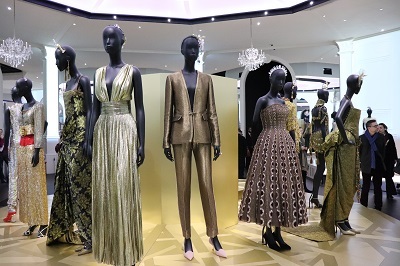 The V&A presents the largest and most comprehensive exhibition ever staged in the UK on the House of Dior and the museum’s biggest fashion exhibition since Alexander McQueen: Savage Beauty in 2015. 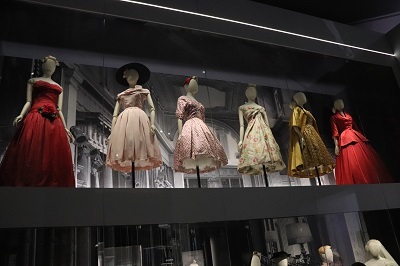 Spanning 1947 to the present day, the exhibition entitled Christian Dior: Designer of Dreams will trace the history and impact of one of the 20th century’s most influential couturiers, and the six artistic directors who have succeeded him. 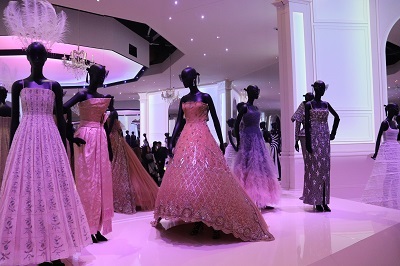 Based on the major exhibition Christian Dior: Couturier du Rêve, organised by the Musée des Arts Décoratifs, Paris, the exhibition has been reimagined for the V&A. A brand-new section explores the designer’s fascination with British culture. Dior admired the grandeur of the great houses and gardens of Britain, as well as British-designed ocean liners, including the Queen Mary. 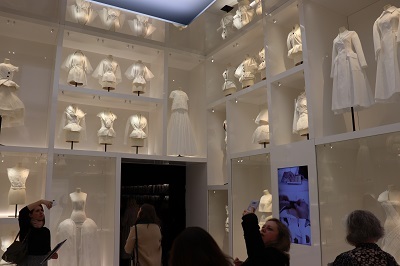 The exhibition is spread across 11 sections and showcases the skill and craftsmanship of those associated with the House of Dior. 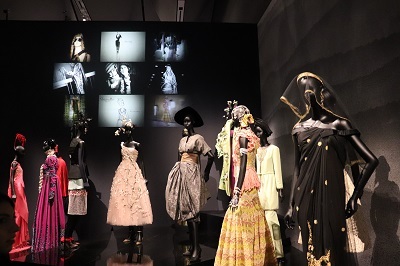 The exhibition presents over 500 objects with over 200 rare Haute Couture garments shown alongside accessories, fashion photography, film, perfume, make-up, illustrations, magazines, and Christian Dior’s personal possessions. The first section looks explores Christian Dior’s life from his early career as a gallery owner and the founding of the House of Dior in 1946. The New Look focuses on Dior’s famed Bar Suit from his ground-breaking first collection in 1947. The Dior Line showcases ten defining looks made between 1947 and 1957 during Christian Dior’s tenure at the House. 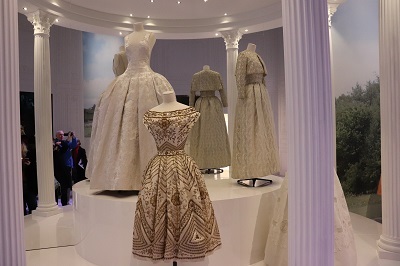 Dior in Britain considers Dior’s love of England and how he held his early Dior fashion shows in country houses and grand hotels around Britain. 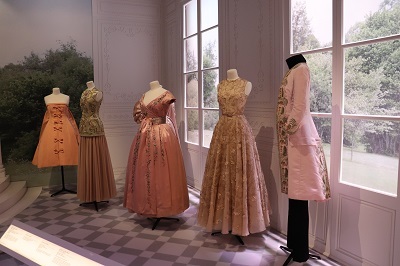 Historicism examines the influence of historic dress and decorative arts in the House of Dior’s designs from 1947 to today, Dior had a love of the 18th century, and the Belle Époque fashions. 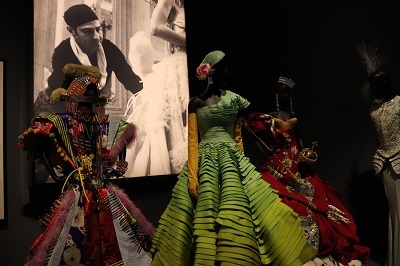 Travels explores how travel and different countries and cultures have inspired the various designers at the House of Dior. The Garden highlights the importance of flowers and gardens as a source of inspiration to the House from garments to perfume. Designers for Dior spotlights the work of the subsequent six key artistic directors since Christian Dior’s death in 1957. Featuring the designs of Yves Saint Laurent, Marc Bohan, Gianfranco Ferré, John Galliano, Raf Simons, and Maria Grazia Chiuri. The Ateliers showcases toiles from the Dior Ateliers in a unusual ‘cabinet of curiosity’ installation. 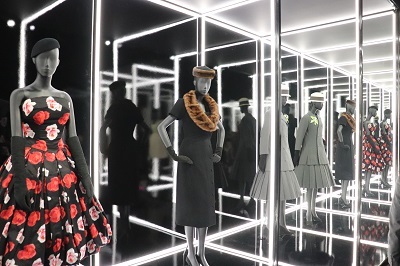 Diorama examines the wide range of the House of Dior, from accessories including costume jewellery, hats, shoes and bags. The Ballroom celebrates the fantasy of the Ball and showcases 70 years of formal evening wear. 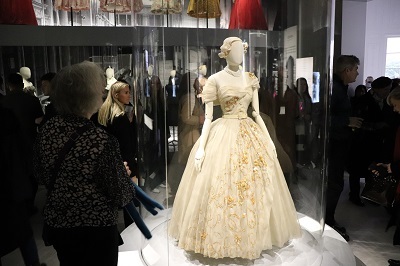 This remarkable, comprehensive exhibition with over 500 objects including over 200 rare Haute Couture garments illustrates how Christian Dior transformed the face of fashion after the war with his New Look and how the House of Christian Dior as been at the forefront of fashion ever since. Dior’s vision included garments, accessories and fragrances, he launched Miss Dior, his first fragrance in 1947. 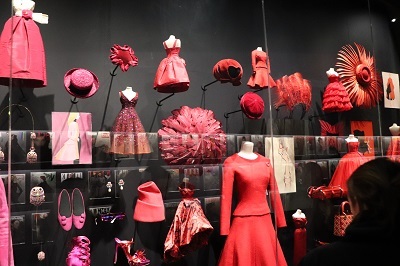 Dior was one of the early pioneers of fashion as a global brand building a luxury fashion empire built on great design and skills and talent of the Haute Couture ateliers associated with the brand. 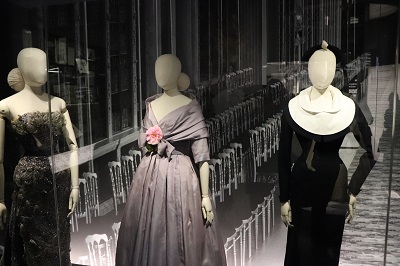 The exhibition Christian Dior: Designer of Dreams runs from 2 February – 14 July 2019. Since our launch in 2014 , we have attracted thousands of readers each month, the site is constantly updated. By londonvisitors2014 in Exhibitions, Uncategorized on January 30, 2019 .